Jai Ho Midnight is slow brewed with organic barley malt, hops, and the crystal clear water from the Scandinavian underground. It has a red orange pour with a frothy white head and a smooth, citrus aroma. Midnight has a bold hop bite measuring 621 IBUs (International Bitterness Units), where the average IPA ranges from 40-60 IBUs. Midnight’s hoppiness paired with its light finish perfectly compliments spicy and savory dishes from East to West. Jai Ho Midnight is 5.7% ABV and is available in 16.9 fl. oz. bottles in bars and restaurants across the distribution footprint. 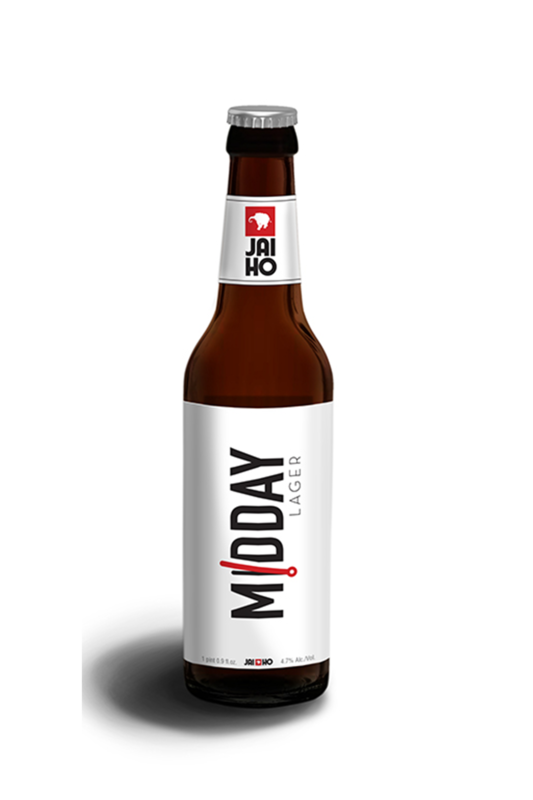 Jai Ho Midday is slow brewed with organic barley malt, hops, and the crystal clear water from the Scandinavian underground. It is a full-bodied lager that features notes of fruit and hops and will be available summer 2019.